Price Rush on 16GB Smooth Silver Hearts! Our 16GB Silver Heart Flash drives are currently available for just £6.75. In order to make way for new stock, we are going to run a series of price rushes over the next week, giving you the opportunity to grab some amazing bargains! 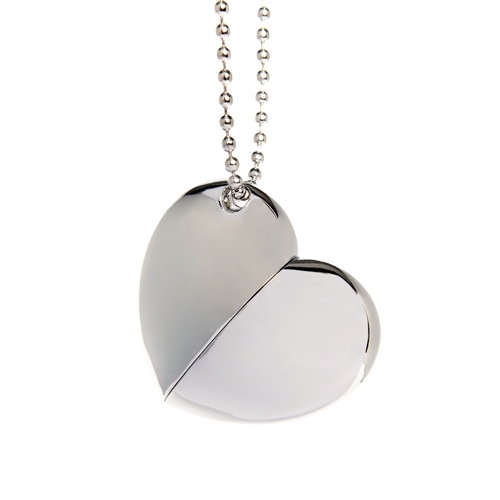 First up our 16GB Smooth Silver Heart flash drives. These are now available for just £6.75 - This is £1.25 cheaper than our 8GB model! Our smooth silver hearts offer an understated alternative to our diamond heart models and are particularly popular with brides, grooms and photographers. Stay tuned for details of our other offers.